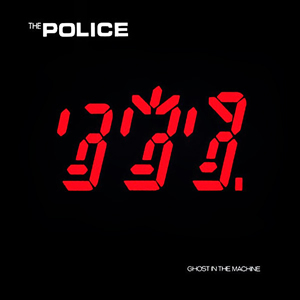 Ghost in the Machine is the fourth album by The Police and the first to actually use an English title, albeit the title was borrowed from the Albert Koestler novel of the same name. Although it used the foundation of a simple three piece power sound with reggae beats and a punk edge that was built by the band’s previous three albums, this album is a definitive evolution towards more ethereal jazzy sounds that would later come to fruition on the Synchronicity album in 1983. For the first time since the band’s formation four years earlier, a dominant influence was starting to emerge from lead vocalist and bass player Sting, who lobbied for the addition of synths, layered horns, saxophones, and lyrics heavily influenced by philosophical theory. This new direction caused a riff with the other band members, especially drummer and original founding member Stewart Copeland, and proved to be the beginning of the end for this short-live and talented band. 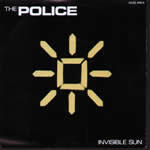 As it turned out, the more mainstream (and well-earned) popularity the Police achieved, the further they grew apart, disbanding after the break through of Synchronicity and the headlining world tour that followed. Originally written by Sting in 1976, “Every Little Thing She Does is Magic” is the most upbeat song on the record although the lyrics suggest it’s about a guy with a crush on a girl and he is trying to get up the nerve to talk to her. It nicely fluctuates between a calm, piano arpeggio during the verse and a classic, steel drum-fueled reggae during the chorus. The song reached #1 on the mainstream rock charts, making it the biggest pop hit on the album. What do you do if your lyrics are too hot for the English speaking world? Set them against the backdrop of a ska beat and sing them in French of course. “Hungry For You” has probably confused many non francophone listeners who may think they just can’t understand the words (because they’re in French). The band returns to philosophical rambling with “Rehumanize Yourself”. The beginning of this song sounds like it may have influenced The Bangles hit “Walk Like and Egyptian” with Horns drifting and soaring above the racing beat. “Invisible Sun” continues the philosophical introspection with monotone vocals and lyrics poetically describing the mundane tasks of the day and hoping for an unseen reward at the end of the day. These words were especially striking when set against the imagery of the music video, showing footage of struggles in Northern Ireland in the 1970s. The feel of Ghost in the Machine is clearly a departure from the previous Police projects. Guitarist Andy summers probably had the least amount of influence on this album, simply due to the pure displacement by the presence of all the other instrumentation. That’s not to say that this isn’t a good listen, as the band was well on their way to their creative apex.